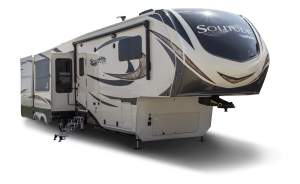 We have discovered that Solitude is one of the most spacious extended stay fifth wheels we can find on the RV market today. 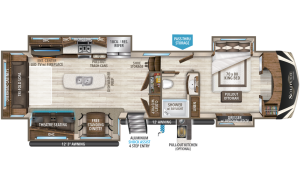 If you’re after more livable space in your next fifth wheel, The Solitude from Grand Design RV delivers taller ceilings, taller and deeper cabinets, larger scenic window areas and a full 6′ 8″ tall slide-out dimension. 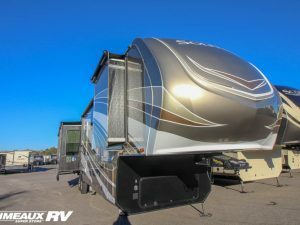 These RVs are designed with the longer-term user in mind as each of the floorplans in their lineup has at least three – and, some have four or, more – slideout compartments. While you may be looking for an extended stay unit to live in for only months at a time – you may just decide you want to make this coach your comfy, permanent home! Most all of the Solitude layouts have rear living areas with opposing slideouts to make family and entertainment events more comfortable and roomy. 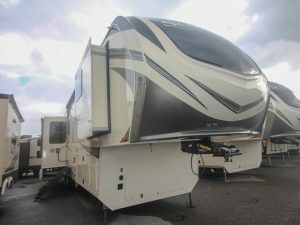 The design exception is the Solitude 379FL – this model has opposing tri-fold sofas in the front living area – as well as twin theatre seats – and, the master bedroom shifts to the rear of the coach. This lineup is definitively the start of something BIG – without an unusually big price tag. With 101” wide body construction, Solitude designs allows for deeper slideouts, wider furniture – and, larger living room, bedroom, kitchen and bathroom areas. 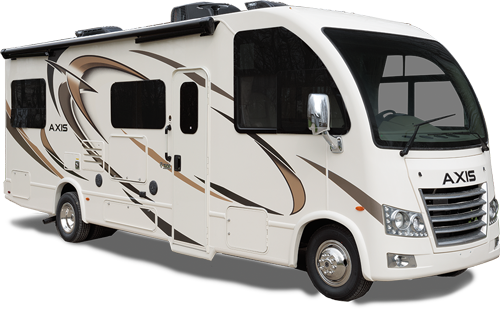 Their 10” x 10” mega frame design allows for 30-50% more exterior space when compared to competitive RV brands. 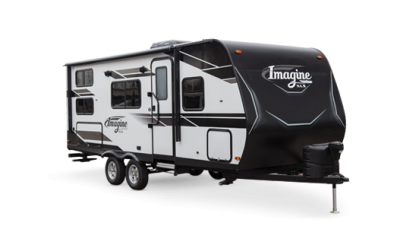 Plus, there are extras that come standard including a 6-point hydraulic automatic self-leveling system that allows owners to level their RV with just one push of a button. Finally, you will love the look and feel of LED lighting throughout the coach and flush-mounted frameless windows that allow you to really be a part of the great outdoors – wherever your travels take you. 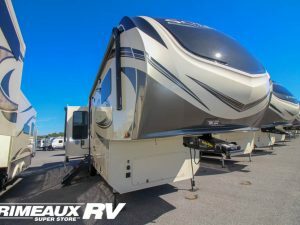 Please let the experienced staff at Primeaux RV Superstore help you to find the Grand Design Solitude Fifth Wheels that matches your needs for a spacious and quality driven extended stay fifth wheel.